In today’s world its important to look for ways to minimize our impact on the planet while still getting the things we need like food and nutrients, clothes and shelter. So many of our daily products are made with wasteful products, it’s a complex balance. We do our best to recycle, and we make choices that improve our health and the health of our environment. 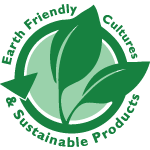 Sustainable cultures are a way for all of us to get some of what we need from a source that will continue to produce it if the conditions are right. In this way we can reduce our need to outsource our vitality and sustainability. An endless supply. They will produce as much kombucha tea as you would like, as long as you care for them properly. This is truly a benefit of brewing your own kombucha at home. Not only are you saving the countless bottles and plastic caps, you also have the ability to produce as much as you like with infinite flavoring possibilities! See more recipes in our flavoring article. Every time I have a plastic bottle in my hand i feel kind of guilty, knowing its going to end up in a landfill somewhere, or even worse floating in the middle of the ocean somewhere like Plastic Island also referred to as The Great Pacific Garbage Patch . the best benefit to the environment is no waste! 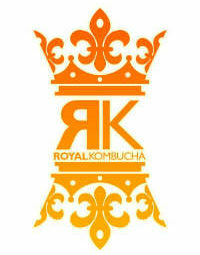 Kombucha is an amazing culture that will live and adapt to your environment. If properly cared for it can remain vital forever, producing multiple generations of kombucha babies. We are dedicated to helping you get your brew started. We have excellent customer support who are ready to answer your questions about kombucha sustainability.